With the start of the new school year fast approaching, I've started to gather all the resources I use in the first few weeks of school. In addition to the usual getting-to-know-you activities, I always make time to read these two books with my students because they both have themes that help to set the tone for the class culture I want to develop. Since the 5th grade year is often when social cliques start to form and "teasing" becomes more cruel than light-hearted, the life lessons taught in these books are especially relevant and I refer to them throughout the school year. Mr. Peabody's Apples by Madonna (yes, that Madonna!) is a beautifully-illustrated story that highlights the damaging effects of jumping to conclusions, spreading rumors, and gossip. It's a fairly quick read, but it encourages meaningful discussions. Have a look at this resource I created to facilitate these discussions. It includes 7 higher-order discussion questions that have been designed to promote critical thinking. There is a page that contains all the questions and can be enlarged into a poster for whole-group discussion, as well as pages that display one question each and can be used for small-group work. The "What's the Theme?" page can be used as a quick assessment. There are both color and black & white versions. "What was the root of the problem in this story, Mr. Peabody's actions or Tommy's actions?". This is neither a yes-or-no question nor one that has a correct answer. A solid argument can be made for either choice depending on each student's unique perspective on life. As we discuss, I do not show favor for one viewpoint over another because I want the students to see that every viewpoint is valid, even if you don't share it. Sometimes we just have to agree to disagree. THIS RESOURCE INCLUDES 7 HIGHER-ORDER DISCUSSION QUESTIONS THAT HAVE BEEN DESIGNED TO PROMOTE CRITICAL THINKING IN UPPER ELEMENTARY STUDENTS. 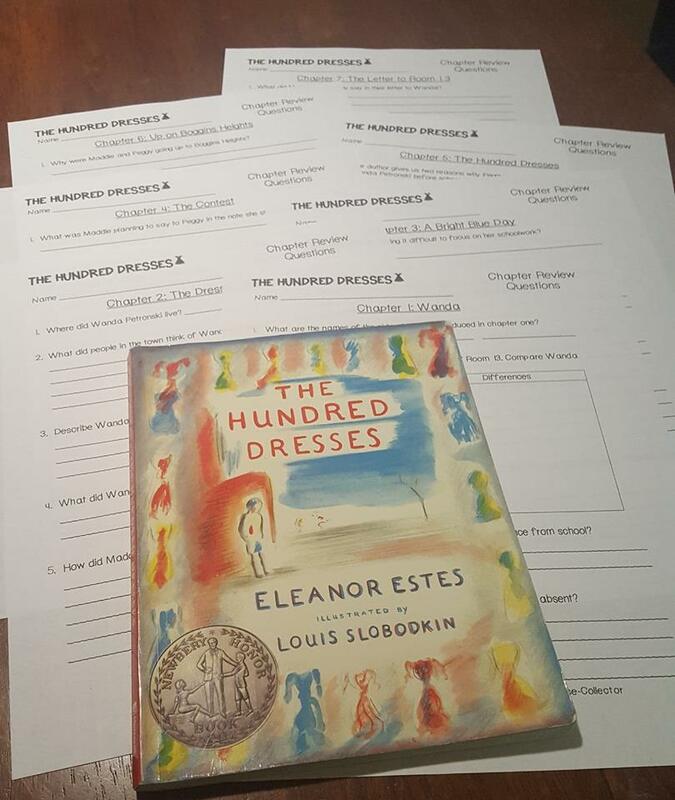 The Hundred Dresses by Eleanor Estes is a Newbery Honor Book and a timeless classic about bullying and its effects on everyone involved. The book focuses on three little girls who take on the roles of bully, victim, and bystander. It teaches a powerful lesson on the importance of standing up for others. 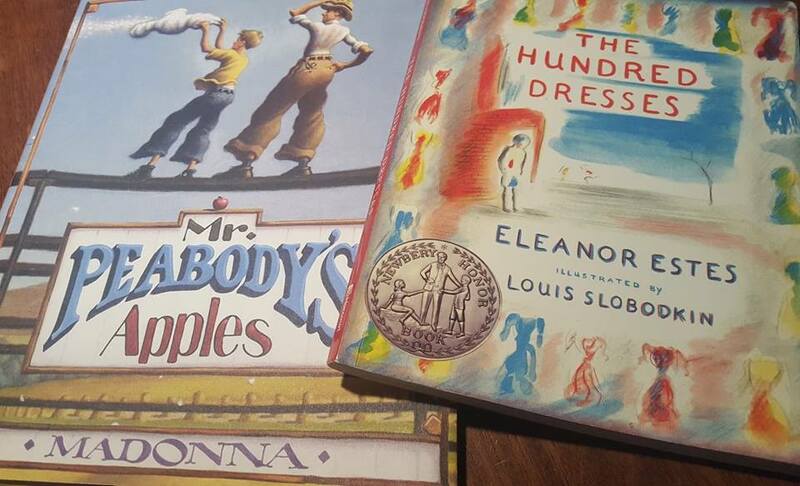 Although The Hundred Dresses is assigned a 3rd grade DRA level, I consider the theme (and vocabulary) to be much better suited to older children. At the beginning, the students do not share my enthusiasm. Every year without fail, students groan and complain when I introduce The Hundred Dresses to the class. I've been told that it looks like a "baby book" or a "book for girls" and it's going to be "boring". However, by the end of the book they always beg for it not to be over and ask if there is a movie or a sequel! I have the version that includes a foreword by the author's daughter but I don't read this to the students until we have finished the book, and this is for two reasons. The first is that it gives away the plot of the story! The second reason is that she reveals that the story is semi-autobiographical and tells us which of the characters her mother modelled after herself. This knowledge is much more meaningful (and poignant) after we get to know the characters. I've created a number of resources to go along with this book. The first is a set of short-answer chapter review questions that I use for classwork and sometimes for assessment. There are 7 pages (one for each chapter) and answer guides are included. THIS SET OF SHORT-ANSWER CHAPTER REVIEW QUESTIONS COMES WITH ANSWER GUIDES. The next resource is my favorite. It's a character trait analysis that always sparks a lot of discussion. I divide the class into three groups and randomly assign each group a different character. Each group brainstorms traits that can be ascribed to that character and the students have to present the traits, with rationales based on text evidence, to the class. I've lived with these characters for so long that I think I know everything about them, but occasionally a student will cast a character in a different light and I'll find myself thinking that I don't know them at all! After the presentations and discussion, I either have the students fill out the Venn Diagram in their groups or I enlarge it into a poster and we fill it out as a class. 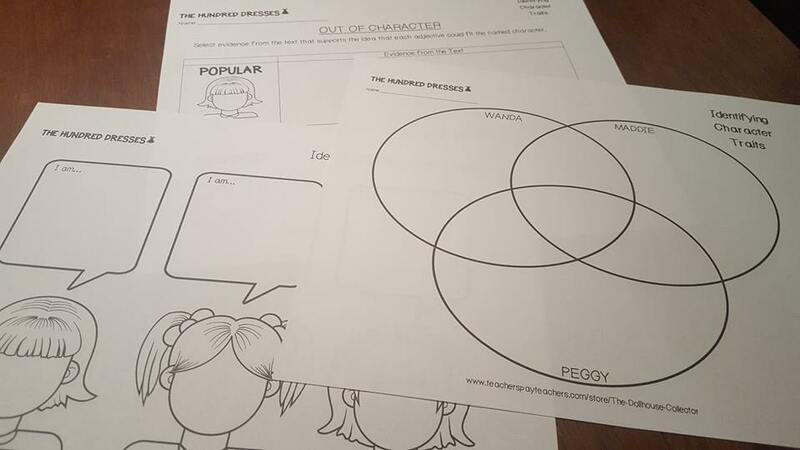 This set also includes a critical thinking sheet that can be used as an assessment. THIS CHARACTER TRAIT ANALYSIS SET ALSO COMES WITH INDIVIDUAL POSTERS FOR EACH GIRL. I have also created a post-reading critical-thinking assessment that you can view here. Check out this cause & effect freebie too! If you would like it all in one big bundle, click here.